We are passionate about body-positive fitness, appreciating our unique forms, and developing strength in ways that support self-acceptance, freedom and confidence. Our goal is to make it convenient for you to invest in your health and make positive lifestyle changes, and to provide you with unconditional and personal support at every stage. Owner and founder Lisa Stein is an NASM Certified Personal Trainer and RYS certified Yoga Instructor. She holds a Masters degree in Contemplative Psychotherapy from Naropa University where her work focused on the holistic treatment of eating disorders. A passionate and competitive distance runner for over 30 years, Lisa’s athletic history includes road racing, trail racing and triathlons, as well as coaching a running program for children ages 10-14. Lisa brings to her work authenticity, enthusiasm for life and a love for helping others. She works from a body-positive perspective and thrives on the opportunity to support her clients in feeling their best and reaching their goals, at every age, size and life stage. She believes in the power of staying strong, flexible and joyful. 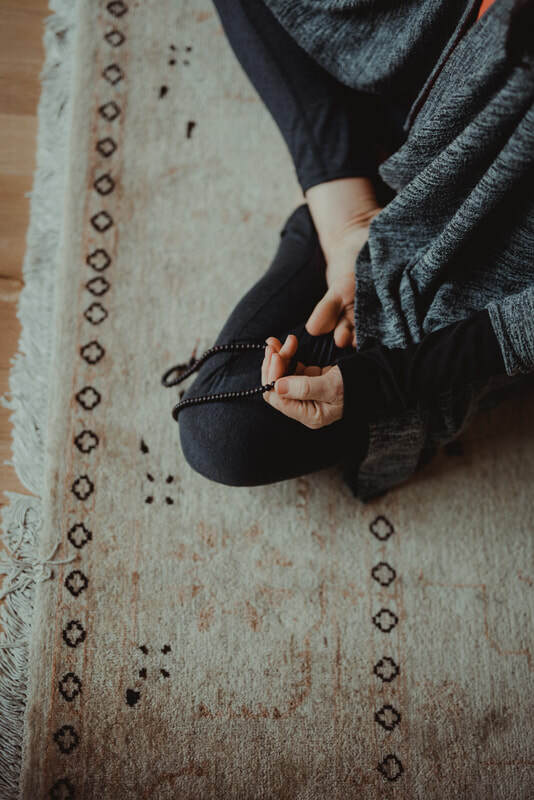 For twenty-five years, Lisa has studied and practiced meditation within the Tibetan Buddhist tradition, and has taught mindfulness practices to both children and adults. She is a passionate student of Tibetan language, a published translator and mom to an amazing twelve year-old daughter. "Your body is powerful. Its strength can support you with grace, carr​y you into adventure and transform your experience of living. Caring for your body is an empowering and transformative journey at every life stage, and we look forward to supporting you." Maddy Wagar joined the Evolve team fall 2017. She is an ACSM certified personal trainer, a black belt in Shudokan karate and earned her BA in psychology from Reed College. She approaches her work with authenticity, skill, and a genuine desire to help others, and believes that feeling strong and capable are a source of empowerment and freedom. ​Maddy loves guiding her clients in the discovery of exercise as an activity that cultivates joy and contributes to a healthy, positive experience of life. With her firm belief in the human capacity to achieve what it can imagine, Maddy will meet you wherever you are, and help you reach your goals! Maddy's athletic history includes over a decade of martial arts training and competition. She received additional training in mixed martial arts with Tae-Kwon-Do champion and MMA instructor Evelio Padron. In addition to her professional work, Maddy plays and coaches Ultimate Frisbee, is an avid runner and maintains regular strength and high intensity interval-training programs herself. "I believe in the body's capacity to defy expectations! Your ability to grow stronger and surpass limitations is what motivates me, and I love to find the synergy between rigor, fun, and exploration. Wherever you are in life, there’s a path for you! Let’s get to work!" ​Elijah Turner, who joined the Evolve team in the fall of 2018, is an ACE certified personal trainer and graduate of Western Washington University, where she earned a Bachelor’s degree with honors in Kinesiology, specializing in health and fitness. She has been active in competitive volleyball, softball, track and dance throughout her life, and is passionate about whole-body, integrative health. Elijah believes that health can be achieved at any age, and enjoys helping her clients identify and execute programs that are realistic and sustainable for their schedules and lives. In addition to her personal training experience, her background in kinesiology and a passion for nutrition give her a unique and comprehensive approach to holistic health. She brings a caring, positive and enthusiastic attitude to her challenging workouts! In her free time, Elijah loves to experiment with healthy food recipes, lift weights, practice yoga, and hike the and bike the trails of Oregon and Washington. When she isn’t working with clients or being physically active herself, you may find her reading or listening to health and wellness podcasts to stay up to date on the latest health and fitness research. Jenny French joined Evolve in the fall of 2018 and brings with her a contagious energy and a life long passion for fitness and health. 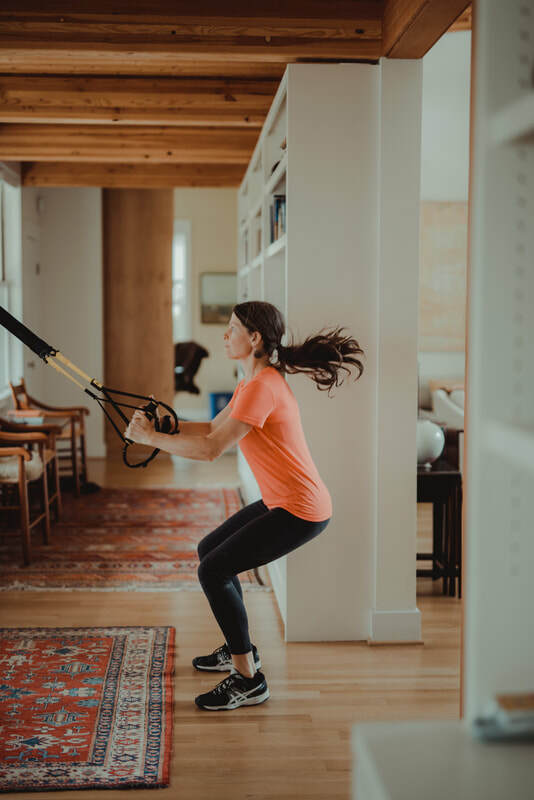 She has been certified through the National Council for Certified Personal Trainers for over five years, with additional certifications in TRX Suspension Training and Fitness Nutrition through the National Exercise & Sports Trainers Association. Jenny received her undergraduate degree in Communications and Marketing from the University of Portland..
Jenny brings genuine enthusiasm, encouragement and attention to detail to her work with clients. She enjoys integrating resistance training, stability work and flexibility into a fitness plan that supports body mechanics, strength, health and overall functionality. She strives to be the ultimate supporter for each client’s individual fitness journey. Jenny's athletic background includes over a decade of distance running and destination racing, as well as the completion of multiple half-Ironman distance triathlons, most recently the 2017 Ironman 70.3 in Austin. When she is not training clients, Jenny enjoys hiking with her dog, Hurley, cooking, snowboarding and trying new fitness classes. "Fitness should be fun and empowering. Nothing is better than realizing your body’s full potential through movement. No matter the inevitable challenges in life, a healthy body and mind are invaluable." ​Shannon Tauscher joined Evolve in the fall of 2018. A graduate of Central Washington University's Biomedicine program, she is an ACE certified personal trainer and veteran group fitness instructor. She uses her knowledge of multiple formats (including yoga, pilates, cycling and suspension training) to keep fitness fresh and fun for her clients. Making movement enjoyable and fulfilling is the driving force behind her work. Shannon has worked extensively in a physical therapy setting, seeing patients ranging from total joint replacements to ligament sprains and tears. She holds additional certification in, and has greatly enjoyed working closely with the aging population, specializing in Parkinson's disease. Shannon applies her rehab and post-rehab background to every client, with an emphasis on educating clients about safe movement. Outside of the fitness world, Shannon enjoys volunteering at the hospital, camping, skiing and hiking. Before being sidelined by a major injury, she raced cyclocross and was a competitive mountain biker. Now she enjoys slow rolls through the park, and uses her own experience to help relate to and care for her clients, bringing a firsthand understanding of the physical, as well as emotional, impact that injuries can carry. "Fitness is the third component of physical being, along with bodily health and mental wellness. A balance of all three is essential to be in an optimal position to thrive in any aspect of life." ​"Lisa comes with her joyful laughter, her astute attention to what we might need or want, and a flair for creating workouts that are always varied (mix of yoga, weights, core, circuit work, balance, stretching...). 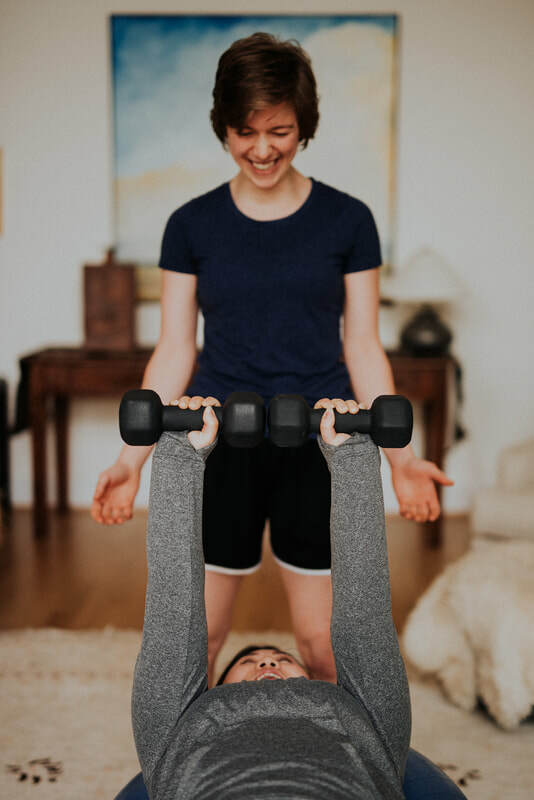 Her workouts always challenge us while remaining fully in tune with any concerns we might have, and she brings new exercises each time to help with places we need strengthening. My partner and I are having so much fun with her and getting stronger each week. Doing this in the comfort of our own home is beyond incredible with our busy schedules. Highly recommended." "I am SO happy to be working with Evolve. I've been working with Maddy since late November and she is truly a pleasure to work with! Maddy does a great job showing me the exercises, ensuring I'm using the correct form, making adjustments based on how I'm doing, and encouraging me to push through. There is no excuse not to work out now!" ​"I've been working with Elijah for 2 months and have seen amazing results in that time. I have never felt stronger or healthier. Elijah is passionate about fitness and it shows through the energy and enthusiasm she brings to every session. Her easy going, friendly personality creates a relaxed, comfortable atmosphere. She makes each workout challenging, creative and most importantly, fun! She also places a high value on correct form with each exercise (flatten out that back Casey). She motivates me to push past my perceived limits to get results. I have incredible energy, my balance and flexibility have improved immensely and I've got great new muscles. If you are serious about changing your life for the better, Elijah will lead you every step of the way." ​"Maddy is by far one of the best trainers I have worked with. I’m a life long athlete, former collegiate athlete, and I’ve played semi-professional sports. This is relevant as I have worked with dozens of trainers and coaches who are well-versed in kinesiology, fitness, and anatomy. Maddy is extremely knowledgeable in how the body works, which means she is able to immediately adapt the day of training to my needs based on how my body is feeling that day. She is encouraging at every step/press/crunch, and she pays carefully attention to my form to ensure I’m effective and avoiding potential injury. ​"When I turned 50, I decided to take control of my health. Although I had been running and cycling consistently for 20 years, I had no experience with weight training and no interest in gyms. The trainers at Evolve have helped me incorporate strength training, flexibility and balance work that has had an incredible impact on how I feel. I am stronger, have more energy, and have learned to experience my body in completely new ways. They reviewed my diet and helped me implement simple changes. In the first three months, I lost 10 lbs. of extra weight. They provide support on every level and I recommend them to anyone wanting a personalized and incredibly supportive health advocate who has the know-how and experience to guide you to feeling your best." "Lisa and her team are knowledgeable, professional, reliable and fun! I always look forward to my workout... which is adapted to how my body is doing that day... so I come away feeling safely challenged. The results have been great; I have lost 30+ pounds, improved my cardio fitness, flexibility and strength. As a former PE teacher, coach and nurse I can attest to the effectiveness of their holistic approach. My 77 year-old mom is now getting training from Evolve, too." ​"Lisa is a wonderful and inspiring trainer! I wish I had found her sooner! I’ve been working with Lisa for 1 month, and I am already down 11 pounds and will keep going until I reach my goals. I know that, with Lisa, it’s possible. She has a special way of making the workouts fun so there’s never a dull moment. Not only does she have a deep understanding of the body and fitness, I feel that she really cares about me as a person and about my health. And the fact that she trains me in my own gym makes it even more convenient; no excuses! I am finally on the right road to my best body and health!"